The fact you are looking at this product means that you are considering facing your fears, and just knowing that means that you are ready to grow now. Are you living the life that you dream about? Have you ever felt as though something is holding you back? Do you ever feel as though there must be more to life than this? 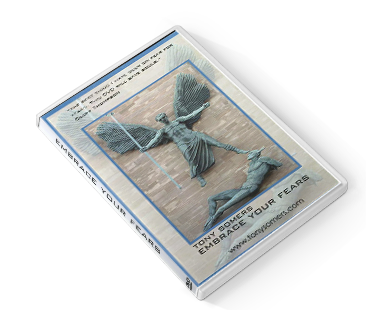 In this DVD – Tony Somers 6th Dan Martial Artist, Ex Fire Fighter, Counsellor / Coach will take you on a powerful journey that will enable you to understand your fears and face them head on. On this journey you will meet some amazing people just like you! You will find this film emotionally moving and surprisingly liberating.